When Alta Weiss throws a corncob at a tomcat chasing her favorite hen, folks know one thing for sure: she may be a girl, but she's got some arm. At the age of six Alta can nail any target, and by seventeen she's outpitched every boy in town. 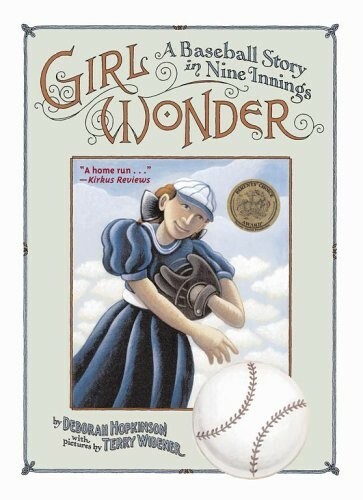 Then one day her father takes Alta to Vermilion, Ohio -- home of the semipro baseball team called the Independents. "Where do I sign up?" she asks. 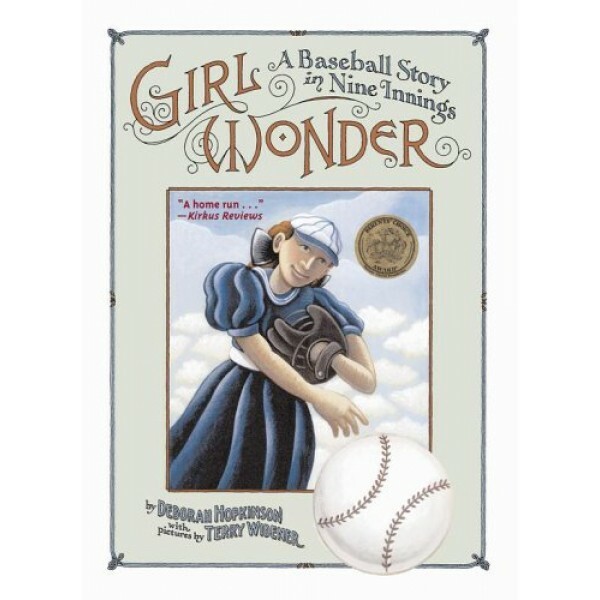 But one look at Alta tells the coach all he needs to know: She's a girl, and girls can't play baseball. But faster than you can say "strike out," Alta proves him wrong: Girls can play baseball! Deborah Hopkinson is the award-winning of picture books, fiction, and nonfiction for young readers. She has won the SCBWI Golden Kite Award for Picture Book Text twice, for A Band of Angels and Apples to Oregon. Her book, Sky Boys, How They Built the Empire State Building, was a Boston Globe/Horn Book Honor awardee. Her recent works include Michelle, First Family, Abe Lincoln Crosses a Creek, an ALA Notable, Keep On! The Story of Matthew Henson, Co-Discoverer of the North Pole, which won a 2009 Oregon Book Award, and Stagecoach Sal, named a Publishers Weekly Best Book of 2009. She serves as Vice President for Advancement at Pacific Northwest College of Art in Portland.